America’s opioid epidemic has one sad upside: more organs available for lifesaving transplants, researchers reported Wednesday. 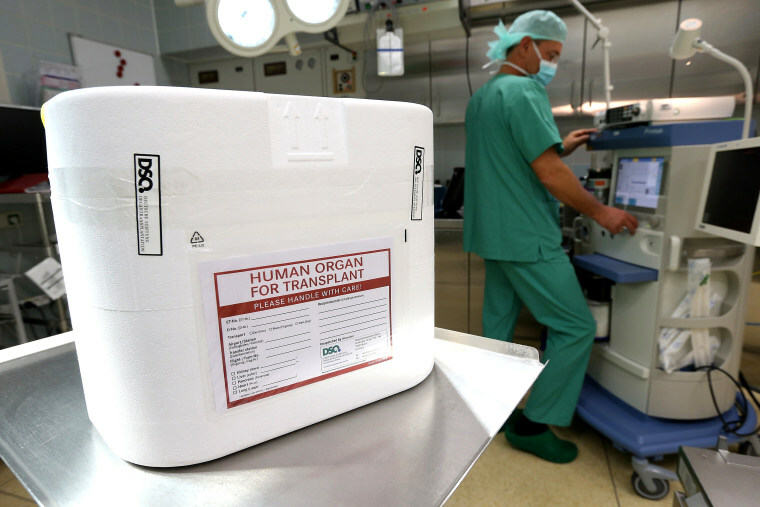 Close to 14 percent of people who donated an organ in 2016 had died of a drug overdose, the team of experts reported in the New England Journal of Medicine. That compares to just 1 percent in 2000. The numbers still are not large. In 2000, 59 organ donors had died of drug overdoses, compared to 1,029 in 2016. “This shift accounted for much of the increase in organ transplantation activity over the past five years in the United States,” the team wrote in a letter. And the transplants are safe. “No significant difference in survival after transplantation was noted between recipients of organs from donors who died from drug intoxication and recipients from donors who died from blunt head injury,” the team, led by Dr. Mandeep Mehra and Dr. John Jarcho of Brigham and Women’s Hospital in Boston wrote. Organs donated by people who have died of drug overdoses are not dangerous because most traces of the drug are gone by the time the organ is removed, said Dr. Josef Stehlik of the University of Utah, who also signed the letter. “The drugs are metabolized and excreted from the donor body by the time the transplant would take place (in brain-dead donors body functions — such as kidney and liver function — continue during preparation for transplant),” Stehlik said by email. But the organs are fragile and could have been damaged because of the loss of oxygen or drops in blood pressure, the team said. Last month, a different team made similar findings. Opioid abuse is an epidemic across the country. The Centers for Disease Control and Prevention says opioids killed more than 42,000 people in 2016. Opioid overdose deaths are so bad they have helped drive down U.S. life expectancy. And there is a long waiting list for organs. More than 125,000 people need organ transplants, according to federal data. But fewer than 35,000 people got an organ transplant in 2017. “Although the number of patients on the waiting list has more than doubled since 1998, the supply of transplants has increased by only approximately 30 percent,” Dr. Stefan Tullius of Harvard Medical School and Dr. Hamid Rabb of Johns Hopkins University School of Medicine wrote in a review in the New England Journal of Medicine. They urged transplant teams to look for ways to make use of organs that might otherwise not be used, including betters preservation techniques and using organs from people who might be infected with viruses such as HIV and hepatitis. Some hospitals have avoided donors who died of drug overdoses because of the risk of infectious diseases. Many people who die from drug overdoses use needles, and sharing needles can transmit HIV and hepatitis. “The increasing gap between the supply of and demand for transplants requires the use of organs that have traditionally been considered unfit for transplantation,” Tullius and Rabb wrote.